Nurse: The True Story of Mary Benjamin, R.N. 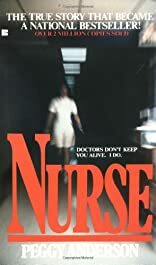 Nurse : The True Story of Mary Benjamin, R. N.
Nurse was written by Peggy Anderson. Nurse was published by Berkley Publishing Group.